Place these battery-operated candles anywhere, then set the timer with a twist of the bulb. They'll turn on automatically for eight hours and off for 16. There's no photo sensor requiring window lighting and no messy electrical cords. Cool, long-lasting yellow flame LED bulbs never need replacing. Requires two AA batteries. One of my favorite thing's about the Holiday's is all of the cheerful lights! Light's on the Christmas tree, lights on the neighborhood homes, the soft glow of candles......it's just a magical time of year! This year I was in search of window candles for our home and although I found several different types, none really fit what I was looking for. Most of our rooms have sheer curtains behind the drapes and I was a little scared that if we had regular electric window candles in the windows it could pose a fire hazard with the hot bulb near the sheer curtains (not to mention how it would inflate our electric bill). While browsing through Plow & Hearth's Holiday Catalog, I came across these beautiful window candles! 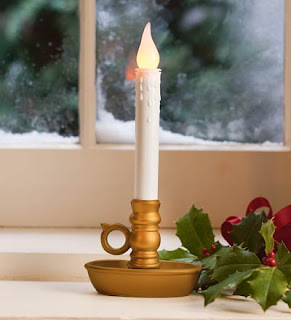 Not only are the Plow & Hearth Single Window Candles gorgeous, they practically pay for themselves with all of the great features! The led bulbs (that provide a beautiful glow) are long lasting and don't require replacing. To add to that great feature, they have an automatic timer that doesn't require setting! The first time you twist the candle on it will stay on for 8 hours and shut itself off.......and automatically turn itself on again in 16 hours (there is no light sensor - the timer is internal). So, we have totally eliminated messy cords, timer's, fire hazards, and an inflated electric bill......all with these beautiful realistic window candles! 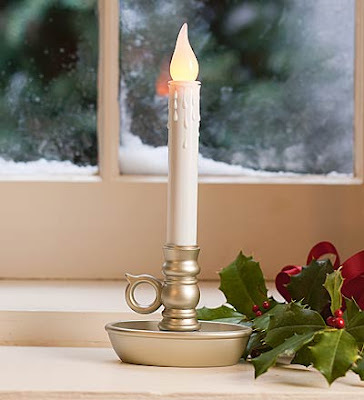 Add a classic touch to your home this Holiday Season with the Plow & Hearth Battery Operated Single Window Candles; they would also make a wonderful Holiday Gift! 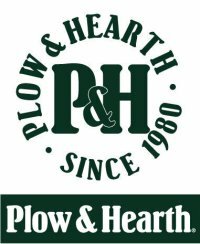 Leave a comment~ Visit Plow & Hearth at http://www.plowandhearth.com/ and let me know another item you would love to gift or receive this Holiday Season. The comment is considered your entry. 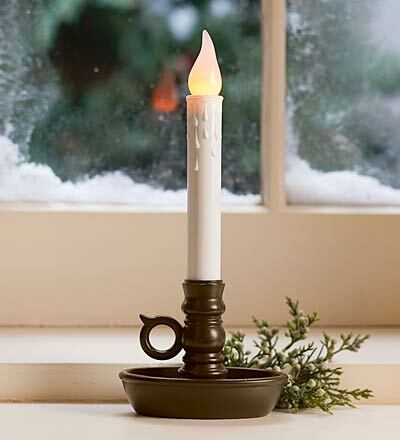 2) Tweet ~ #WIN a 4 Pack of Plow & Hearth Window Candles in Choice of Finish! @savvycouponmom http://bit.ly/dXrol4 #GIVEAWAY #Holidays (can be repeated twice daily for additional entries~ copy paste please~cut and paste- the bit link must be posted in the tweet - I will check) (Additional 5 Entries - 5 Comments). Oh my gosh, I would also love to get the Musical Carousel, so beautiful! I would love the December Assorted Bulb Garden for my mom, as she is in assisted living. It would brighten her day! I'd love to get the red maple leaf wreath! I follow via GFC and I would love to receive the Gold-Edged Wreath for the holidays-great decorating item.